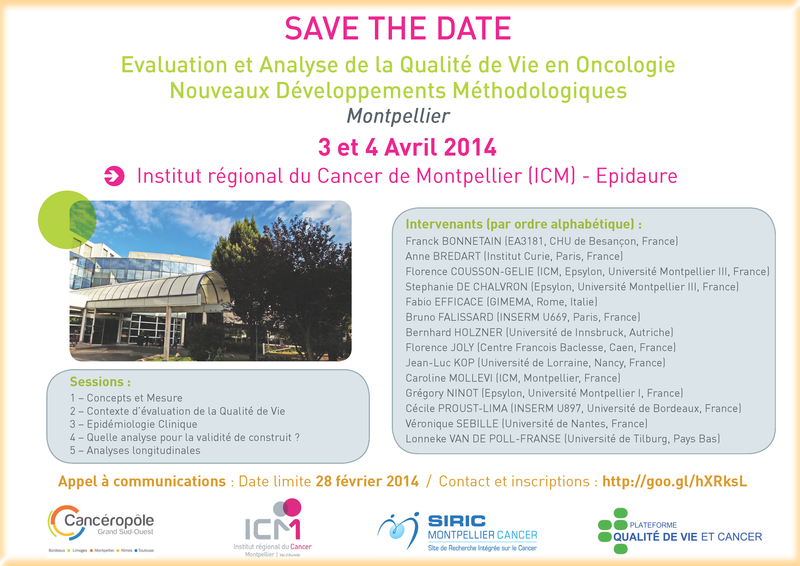 This new edition of the GSO international workshop on biostatistics applied to cancer will focus on quality of life. The objective of this third edition is to discuss methodology and models developed in psychology, biostatistics and epidemiology on quality of life. Language: all powerpoint presentations should be in English, but lectures can be delivered in French or English, depending on speaker convenience.